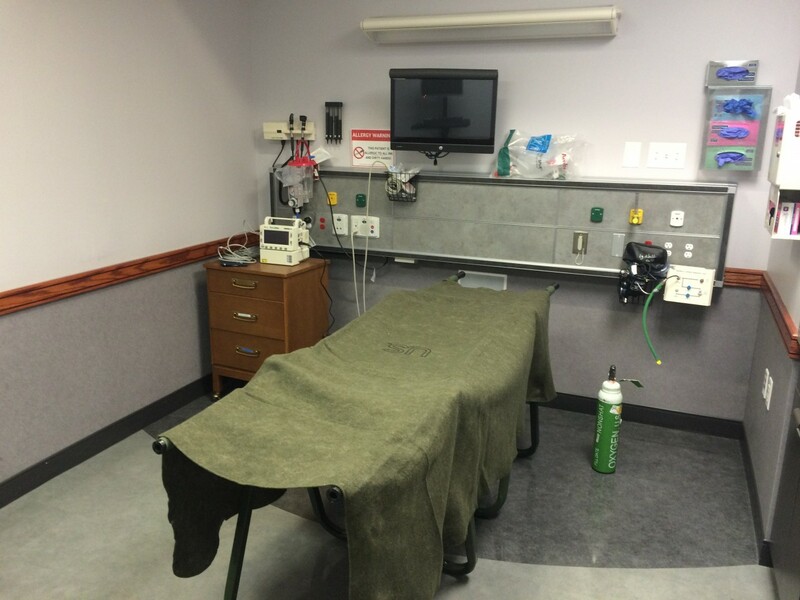 Uses: Before and After, College, Government, Health Care Lengths: 5 panel 9'-5"
The Ozarks Technical Community College Allied Health Simulation Center in Springfield, Missouri, has medical/surgical simulation rooms to train the local National Guard. Surgical room screens easily convert the space from a simulation medical space used to aid our armed forces to a fully functioning clinic for the military in minutes. 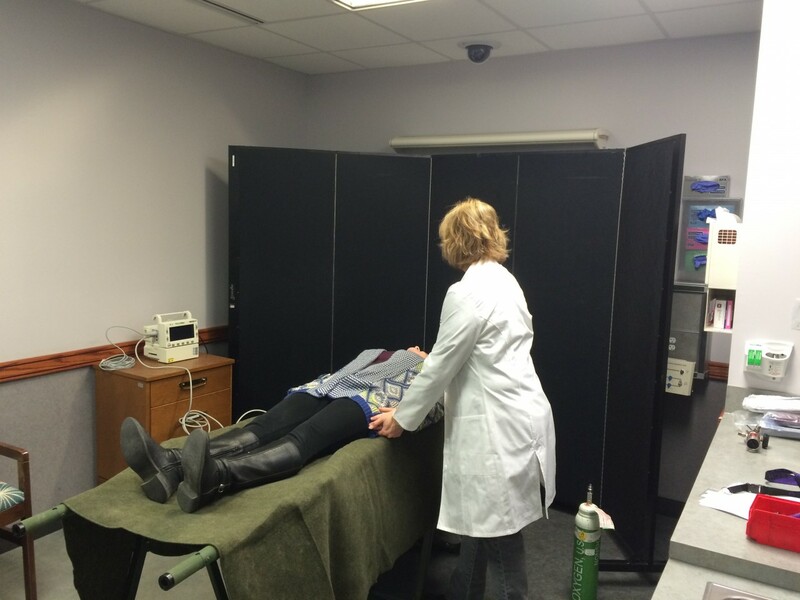 The facility uses Screenflex room dividers to create the needed clinic. The dividers are rolled in and out of position on self-leveling caster wheels. This type of wheel ensures contact with the floor to provide you with a stable and sturdy partition.